Closed beta to launch with new game mode. Nosgoth, the free-to-play multiplayer action game based on Legacy of Kain, is getting ready to enter beta testing. Square Enix and Psyonix announced today that the closed beta test will begin on Thursday, February 27. Developer Psyonix will introduce a new game mode called Siege during the closed beta. In Siege, Humans must capture specific locations and guard them from Vampires, while Vampires must actively hunt down their Human opponents. This is in addition to the game’s standard melee vs. ranged Team Deathmatch mode. The developer says the game will be updated continually throughout closed beta, with future additions including new maps, modes and character classes, plus new weapons, abilities, skins, and more. 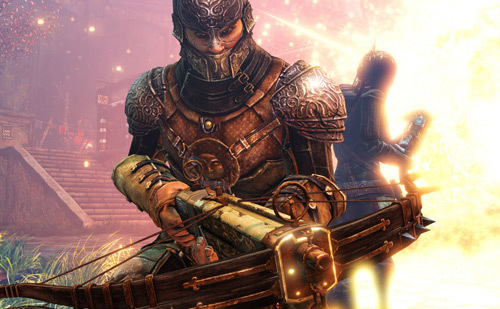 You can sign up for beta access on the Nosgoth website.